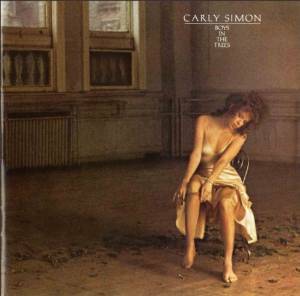 Since listening to Carly Simon has long been a hit-and-miss affair, this album proves as surprising as it is enjoyable. On her other recent LPs, Simon’s deliveries have ranged mostly just from the indifferent to the affected, with an occasional gem thrown in to keep us guessing. Here, however, her voice consistently transmits hitherto rarely reached levels of subtlety and involvement. Producer Arif Mardin—Simon’s replacement for the always professional but often annoyingly unvaried Richard Perry—deserves much of the credit. Also noteworthy is the program, which mingles playful, light numbers with love songs that help to mark Carly and her husband, James Taylor, as the thinking person’s Paul and Linda McCartney. Case in point: the insightful “You Belong to Me,” the album’s confidently sung smash hit, which Simon wrote with Doobie Brother Mike McDonald and which features a fine sax solo by David Sanborn.